Gatwick Airport Mini Cab Services: Book your mini cab to Gatwick Online Or Call Us Today! ZedCarZ have been providing quality Gatwick airport mini cab services for over two decades; it’s a service we’ve really mastered. We know a hassle free, relaxing journey will get your trip off to a great start, so why not try the ZedCarZ way? Bookings are confirmed in writing with you and flight details verified with the airline to keep everything in check. Book in advance or on the day, and we’ll get you there in good time. For all Gatwick airport transfer quotes and bookings please fill out our quote or booking form online. If you would prefer to speak with a member of our team, then please call us on 0208 330 3300 or via our main contact form. If you are booking Gatwick airport transfers from our local service area in Tolworth or Surbiton, you can contact your local ZedCarZ team. Based 29.5 miles south of central London, Gatwick Airport is London’s second largest international airport and the second busiest in the UK. Our aim is to make your airport transfer to Gatwick as pleasant and as stress free as possible. If we’re picking you up from Gatwick Airport? Our outstanding meet and greet service for inbound flights revolves around flight monitoring. Your driver will arrive at the terminal 15-30 minutes after the flight has landed. This leaves you with enough time to clear customs and luggage collection should you need it. Our drivers will be waiting at Gatwick airport information desk with a name board. If you’d like, feel free to arrange another meeting point. Please note though that pick-ups are not permitted outside the airport. We happily wait for as long as required – 45 minutes of waiting time is included in your quote, after which an hourly pro-rata rate will apply. 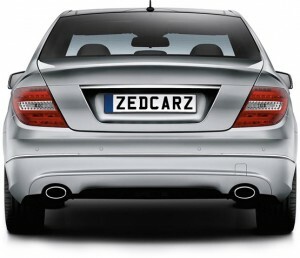 Business and leisure travellers have trusted the ZedCarZ airport transfer service to Gatwick for over two decades. Retaining loyal customers has been our aim. We focus on reliability, professionalism and providing an unparalleled personalised service – and this is why our customers keep coming back and recommend the ZedCarZ Gatwick Airport Transfer Service to their friends and family. We’re aware that when you’ve travelling on a flight at Gatwick Airport, your eye will always be on the time. We do to, because what’s important to you is important to us. We monitor your flight so if there’s a delay you won’t need to worry. Find yourself landing early? You’ll not be left waiting. We’re there for you when you need us. Allow ZedCarZ to take the weight off your shoulders as your professional, smartly dressed driver assists you with your luggage. Anything else we can do for you? Just ask. Both our standard private hire and executive hire options are available for airport transfers to Gatwick. Our standard private hire fleet consists of quality saloons, estates and MPVS. Our executive hire option means you’ll travel in a stylish Mercedes E-class or equivalent – complete with collar-and-tie driver.